Just like humans, cats all have distinct personalities. Falling for a pretty face or an adorable little kitten is all very well, but under that surface is a distinct personality. Each one unique! and one of our Adoption Team will get back to you shortly! 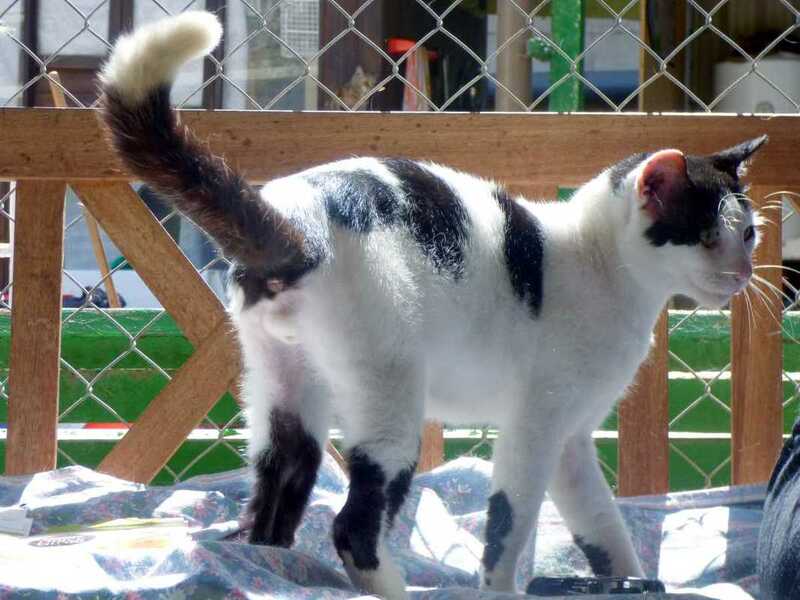 Please do mention the name of the cat you would like to adopt, if you have a specific choice, or let us know what your needs are and we will help match you with the ideal cat.. Even if you cannot adopt, you still can help. Champion a homeless Cat. Share the details to a possible "parent". Think hard. You might know the perfect match for an individual Cat!!! Act for this Cat! Help us to home!!! Update 2019: The Three Kings or Wise Men were searching and in a way cosmic. How fitting that 2 of our Three Cosmic Kittens were homed on their feast day. Fluffy Cosmo was finally homed in April. Cosmo is the most beautiful, but also the most shy...However, he has come a long way in the 5 months journey of his life!!! After his siblings left, he successfully transferred to another foster place before calmly (!!!) flying to his new family abroad. ​Ginger girl Star with grey brother Moon and, finally, fluffy ginger and white Cosmo found a home on earth. Sweet Star homed in Malta. Beautiful, gazing Cosmo travelled further! The 3 kittens arrived orphaned and traumatized. Little tom Moon was starting an eye infection. To improve their condition as well as their chances of adoption they were given to kind and experienced fosterers. Now 10 weeks old our Cosmic Stars have overcome their shyness and gained in weight, trust and self esteem. ​Star, Moon and Cosmo are now ready to bond with a loving and guiding "parent" on planet earth. Sweet, gentle and so responsive to voice and touch. A wonderful Cat in her own right. Cadence is lovely, delicate and very beautiful. A very young, composed and competent mother looking for a caring, affetionate human..
Update: On 12 December Cadence got a special gift. The tiny mother was neutered. Never again giving birth under life threatening conditions! No more desperate worries how to fend for unwanted kittens! It was a lentgthy trip home from the clinic through terrific traffic. When Cadence got into her familiar cage she did not make for her bed and hot water bottle, nor did she want food. Cadence needed and asked for a long,comforting cuddle. ​She is a treasure and whoever is looking for a loyal and playful companion has found her here and now! I am fit! I am fun! I am lovely!!! I have so many moods: sometimes I need to be affectionate and gentle, at other times very, very playful. I love play acting, e.g. tiger ;-), running and jumping. Like all young cats I love movement , but I also need quiet times to rest. Carer's comment: Despite a recent growth burst Pupa is still a teenager, ready for change and long-term commitment. Her already eventful life has not impaired her remarkably sweet and gentle disposition. Pupa is still impressionable, hopeful and quietly confident. She thrives on toys and games! Despite her striking beauty Pupa is a tomboy: curious, adventurous and a fearless athlete. She no doubt would appreciate access to fresh air, be it to a cat proof garden, balcony or yard . 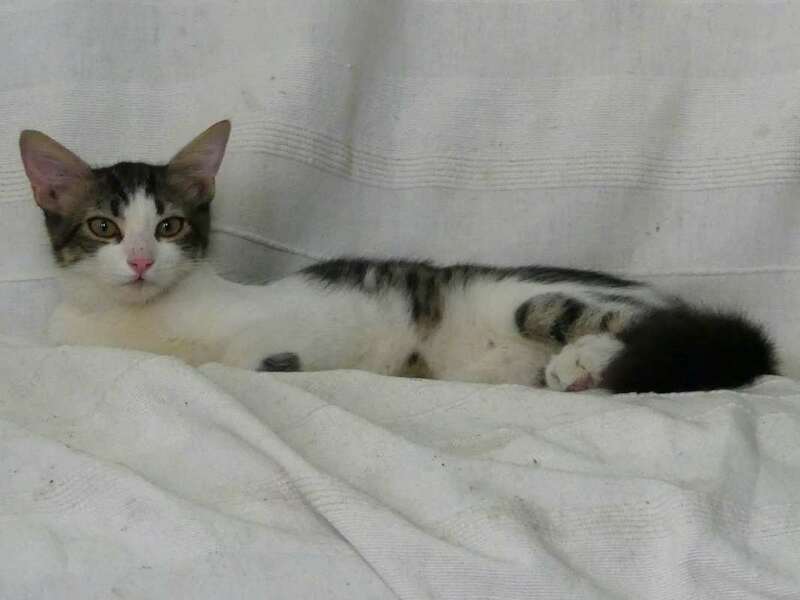 Relaxed and sociable in an unobtrusive way, Pupa gets of well with all kinds of Cats as long as they give her space. Pupa's silky, fluffy coat will eventually need help with grooming, especially in the hot weather. With a pair of blunted scissors, patience and a small quantity of freshly cooked succulent chicken breast, you could quite easily become an expert in home grooming. Pupa is very affectionate, neutered, fit and healthy. "Parent(s)": Whether it is your first time or whether you are an experienced partner, Pupa is not demanding. Long-term love and caring commitment, cuddles as well as space and opportunity for imaginative playing are sufficient Pupa says. Pupa seems happy almost anywhere. She is not spoilt, but so intelligent that she needs regular attention and Pupa- time. This could be provided in a family, by another cat (see http://www.csafcatsanctuary.org/ Cats looking for a home- Take Two ) or by a "parent" who works from home. I am as light as a feather. A tiny bundle of fluff and sunshine. I am always in a good mood and I believe you should be in an excellent mood too!!! and I want us to spend A LOT of our time together. BEST time, QUALITY time. Parent(s): You need to be relaxed. Or really want to have your life changed by Mishou. You cannot be a hurried or driven person. Mishou thrives on your time and affection and if you cannot afford either, Mishou is not for you. If you are prepared for a life spent TOGETHER, you will have found a treasure. He has so much tenderness and the best sense of humour. Mishou will try any trick to get you notice him. He will play with the broom...Or this most delicate and fragile of Cats will creep up behind you, like a dancer fall into step with you and then suddenly move between your feet. And if you don't want to fall or hurt him, you'll pick him up. Mishou has won. Your heart and your time. 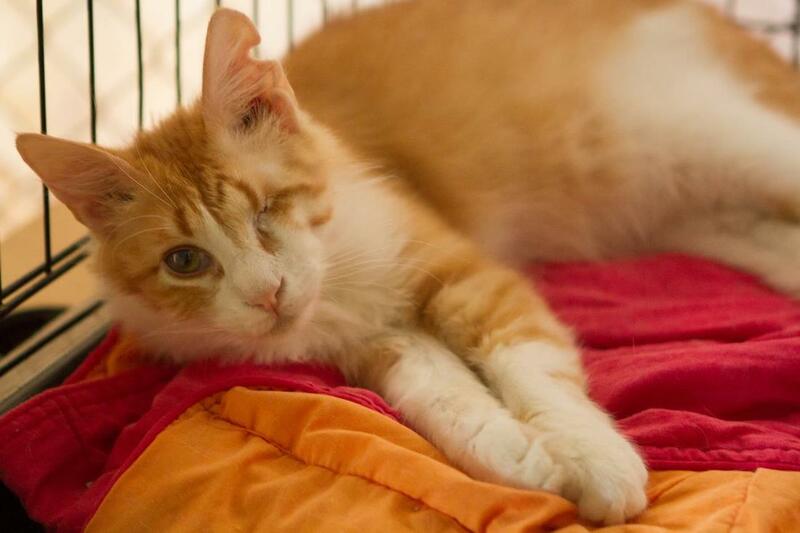 Though he is, one-eyed, tiny and loving, Mishou is a surprisingly dominant tom. Mishou wants to be the number one! So if you want to introduce him to other Cats in your home, please study his behaviour towards other Cats carefully in advance. Neutered. FIV/FeLV negative. Ca 2- 3 years (???) young. Equally friendly towards cats and humans! Damian so much deserves a good and loving home. Will you enhance at least two lives? His and Yours??? ​You cannot go wrong with Mimi. She is a lovely individual, the perfect companion for a discerning and understanding owner. Seemingly withdrawn she observes you constantly, secretly hoping for attention and affection. She appreciates good (!) food and as soon as she trusts you she will respond happily to calls and caresses. Sudden hisses should be respected, but not taken too seriously. Either you have transgressed invisible barriers or in her happy excitement emotions have short circuited. Just withdraw quietly and give Mimi time and space to settle down. 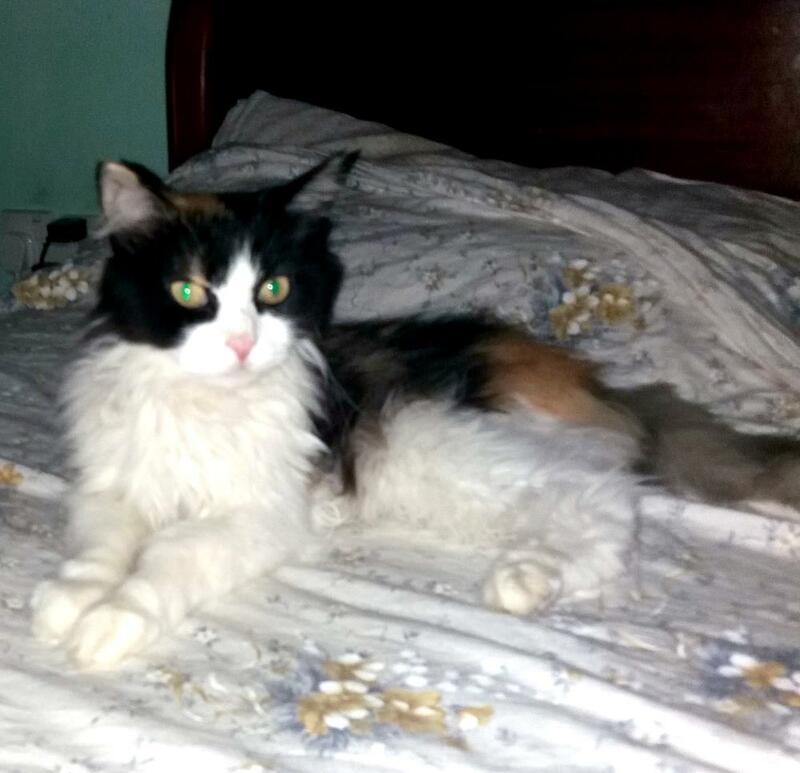 She is a lady with charme and character: a loyal, capable and attractive cat who will turn accomodation into a home. ​Any cat lover will enjoy to gradually draw Mimi out. One dark, cold night early this year young Spike was taken on a surprise car trip. Together with several other ex-house Cats he was driven to another town and they were released in unknown territory vigorously defended by unknown resident street cats. Fight was not the objective of the bewildered, disorientated refugees. They wanted shelter, humans, food. So they called, scratched doors, tried to get themselves noted. What exactly happened remains a mystery, but Spike was picked up seriously injured. He was seen by a vet, received care until he was fit again and was taken to the Sanctuary. Now one of the abandoned, ex-house Cats, Spikey is still hopeful to be chosen by a committed and responsible owner. He will need support in looking after his lovely, fluffy coat. Spike is a beautiful, friendly, true ginger with all the wonderful qualities of a Ginger Cat. If you ever knew one, you understand why so many people love them. Ciniza's owner has to undergo lengthy medical treatment. He had to give her up for adoption. Ciniza came to the Sanctuary 20 August 2018. A loved, but homeless house cat. Ciniza is a quiet, hopeful extrovert, who much prefers dry to wet food. The moment you approach her cage, Ciniza gets up, starts purring and kneading the carpet in expectant extacy. She craves and thrives on human touch. If you recognize and can respond to that need, you will be a dream team! Scarlett is Ciniza's new name! After a first unsuccessful attempt at homing, she got the so deserved, but rare Second Chance. Scarlett has finally found a permanent, good home with loving and dedicated human partners. Look at me. Can you read my body language?? Can you imagine what I feel? Is there any hope for me? Any kindness? A quiet home for me, a gentle, quiet and beautiful home cat? I am LITERALLY dying of a broken heart. Is there anybody who will rescue me from my great sadnesss? Carer's comment: Naja was going down rapidly. She was too despondent to eat anything. She looked more relaxed at her new home and her fosterer described her as adorable. Naja had lost a lot of weight though and was seriously depressed. Despite frequent vet visits she did not survive. Found on a door step! 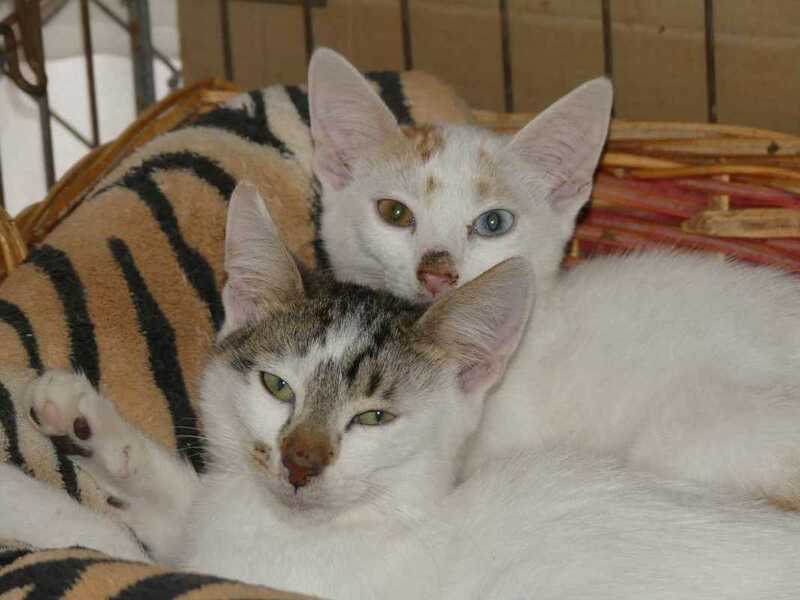 ​These two intelligent, house trained and inseparable kittens were looking for a kind and permanent home. For about a month they were fostered by their finder. Their big day came 23 August 2018. They were neutered - the biggest life changing gift a Cat can dream of - and chipped. They were offered a HOME TOGETHER. Welcome to the real Cats' life! I was found almost suffocated , packed in a playmobil box. Understandably I am still shy, but friendly and so gentle! A 2-3 year old tom. Once a house Cat . I am trying hard to keep a safe distance from the more rough and tough Sanctuary Strays. I am SO grateful for attention, love and care! I would be SO overwhelmed to find a responsible owner!!! I have been neutered and tested FIV/FeLV negative. Look at my hopeful, intelligent eyes, feel my dense, silky, fluffy coat! Will you give me a name, a home and a life??? IS THERE ANYBODY out there who understands a homeless Persian? Brandon was picked up by Animal Welfare . He has been through a lot. How much he suffered only Brandon can tell. He has a chip number. Where are his owners? Do you know of anybody looking for a middle aged black and white Persian tom? A Persian cat is not fit for life in the street. They need help with grooming and appreciate care, comfort, routine and reliable affection more than most cat breeds. Nor will they survive in the harsh conditions of our Sanctuary. We do our best, but summer is a testing time with the heat, the dust, the shifts of changing carers. Brandon has been neutered and tested negative for both FIV and FeLV. He has a lovely, gentle and unique personality. Obviously he is completely bewildered , but bravely tries to get his bearings. Though very quiet, dignified and fond of rest, Brandon can react fast and furiously when provoked by other toms. He might be best as the only tom/cat in the family. Could you help him to find his way into the heart and home of kind understanding owners? I am a prince tricked out of my rightful environment. Though very young, I'm already magnificent. I can stand, - firm and beautiful. I can move, - fast, to the point, effortless and gracefully. My coat, - long, lush, flame-coloured. Gleaming and always perfectly groomed. My tail , - royal, broadly fanned, carried vertically and proudly. My eyes, - lime green with gold radiating from the center. My face, - sweet and heart shaped. I can smile. Touch me! Lift me up!! I am so easy to handle, so gentle and affectionate. Stroke my soft and silky coat, my relaxed and limber body. You'll be surprised how floppy and loose I feel. I am a house cat, born and bred. I belong in your home and in your heart. All I do is searching for you. I will not give up until we finally meet. Don't I touch and stirr your heart? Alexis is an unmistakable, high profile cat, not only because of his stunning looks . In his desperate attempt to find his human match he follows you round, wants to share in your activities, demands attention, affection and body contact, thrives on cuddles and games. Despite his astounding gentleness, sweet temperament and lack of any aggression towards humans, he is desperately dominant and intelligently, persistently and skillfully strives for the number one position amongst cats. Alexis would be happiest and most secure as an only treasured cat. Under his smooth coat hides a lost and frightened teenager, trying to survive in a hostile environment, craving security and love. He cannot afford to show fear, but Alexis' underlying nervousness is resulting in visible weight loss. To save him, he needs understanding, committed owners who will provide a stable, secure home for life. FAST!!! Because even Alexis' energy is limited. The count down started for young but capable Mummy Nala mid-April. Having witnessed the homing of her litter from her hospitable kitten nursery, Nala returned to the Sanctuary. But not without a daughter! The unspoken promise had always been that Nala would keep one of her five kittens. It is lovely and very lucky Baby Rachel who remains in her mother's care. Nala and ravishing Rachel are ready for take-off into Csaf Cats' highest aspiration: Family life! ​Is there space in your heart and home for Nala and Rachel? 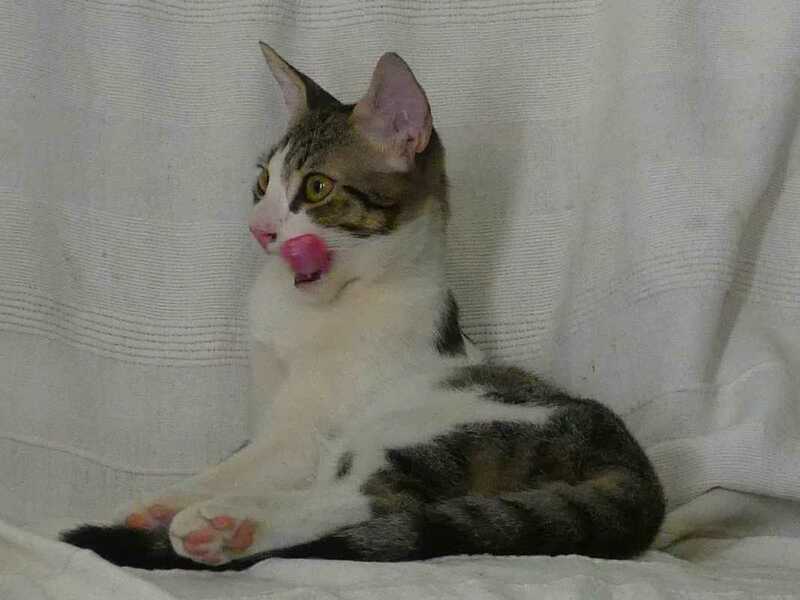 This lovely female cat was abandoned in Mellieha . Owners left the island and chucked her in the streets. She is around 3 years old. 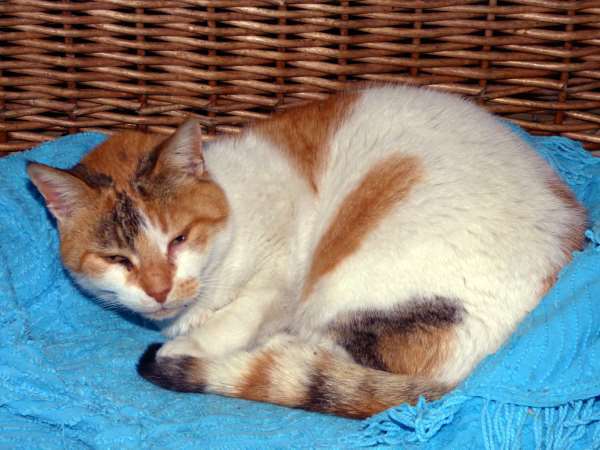 Nania was a lovely family cat once, perfect with children, cherished by their parents, absolutely beautiful in burnished orange. She stood small, but firm, with her lush, fluffy and perfectly groomed coat gleaming. She was a fun cat, a young, playful tomboy, a remarkably patient partner for any child. Two months later she is only a former shadow of herself, her lively glow has faded.. The huge stress and anger after her transfer to the Sanctuary brought on ringworm which successfully was treated with vaccinations. Her angry, oh so angry soul is far more difficult to heal. Nania is a fast learning, intelligent survivor, but SO hurt. 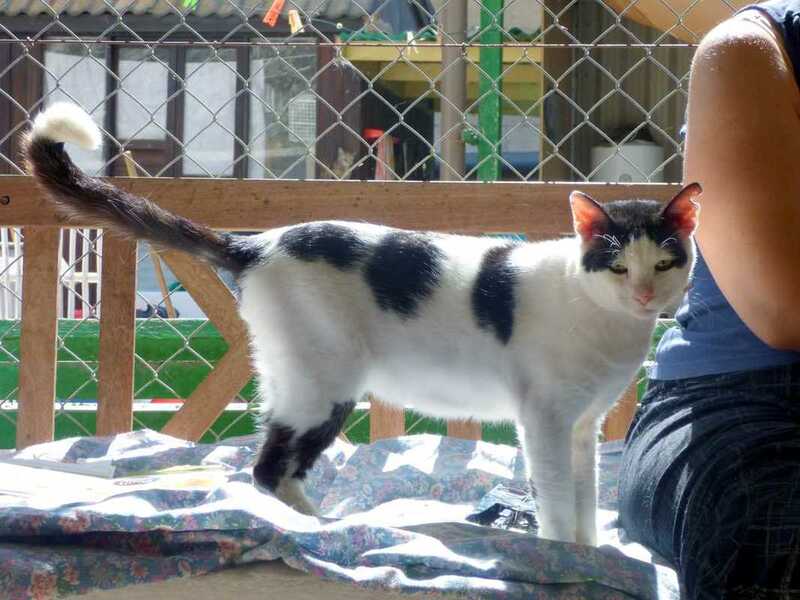 She runs with the other cats, she will fight for her position, she demands contact from the carers, but even her energy is limited. 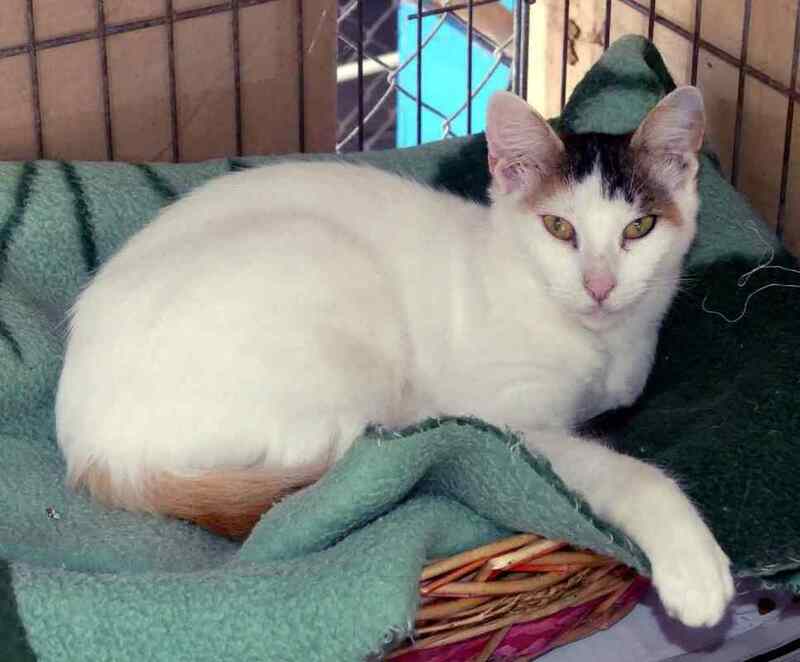 Nania needs a loving, deeply understanding and forever home. Will you give her back her trust, her purr, and help her to stand tall again?